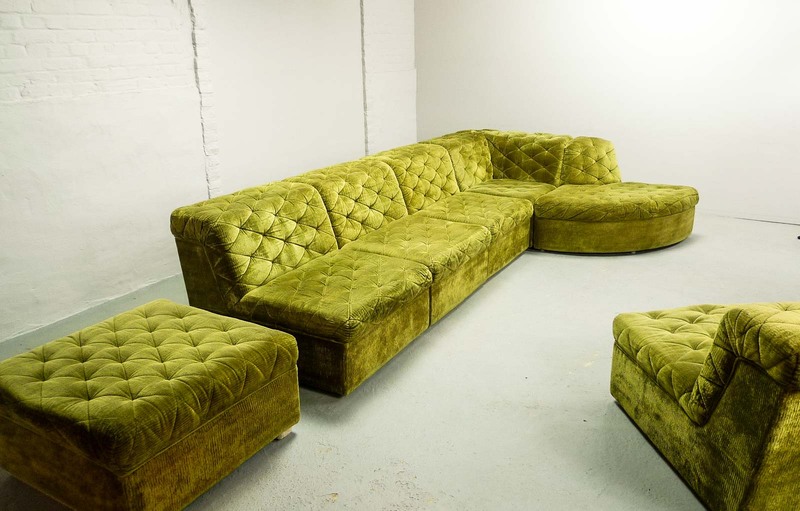 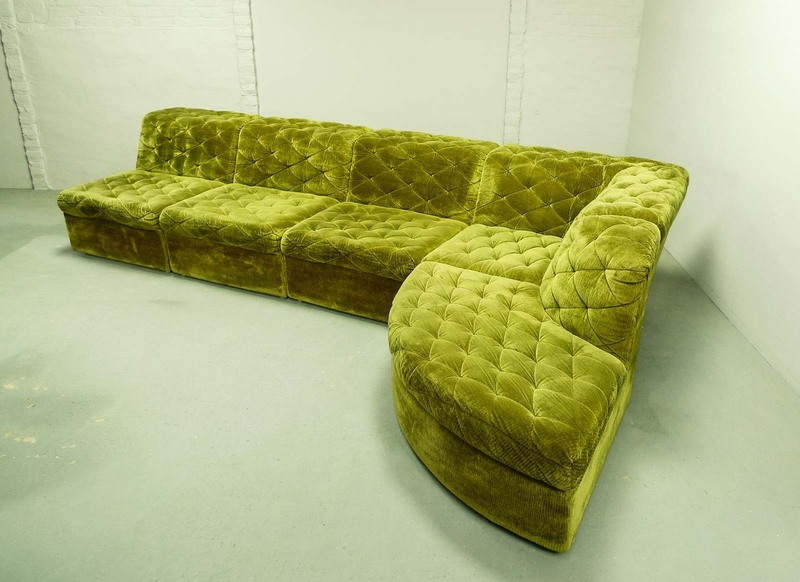 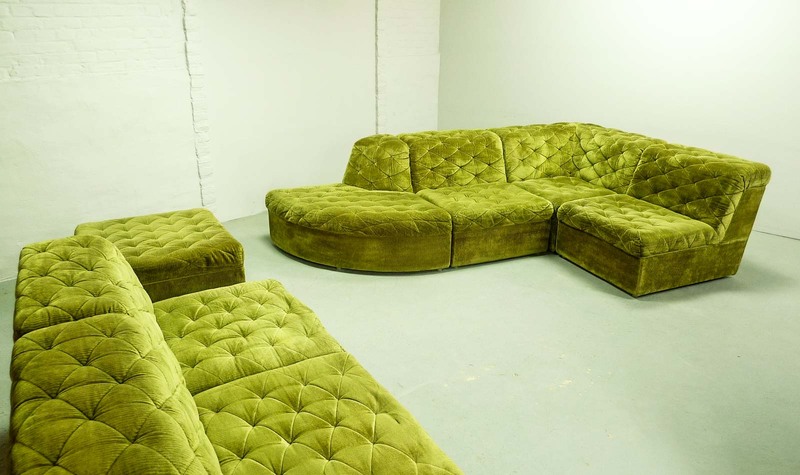 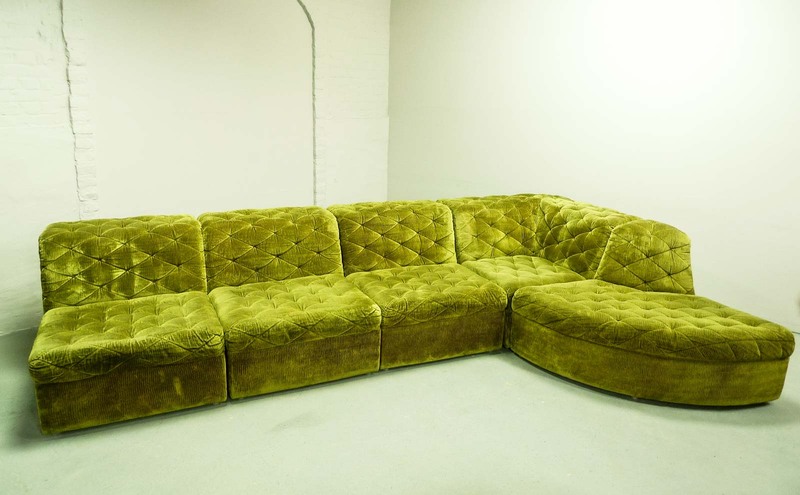 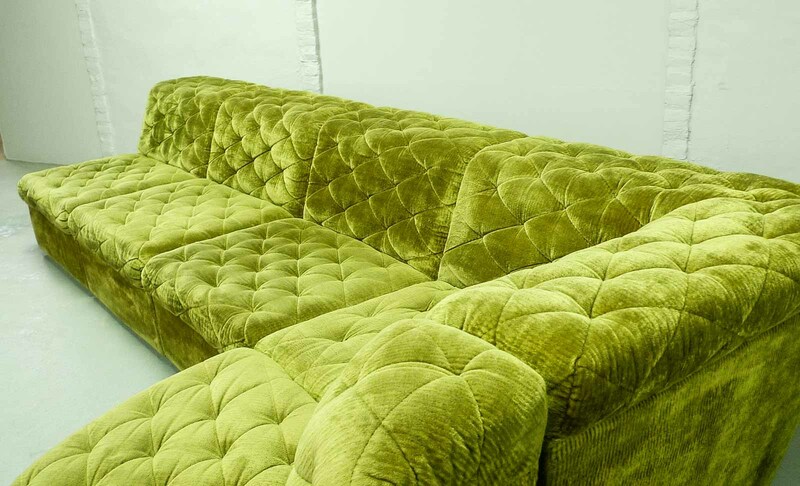 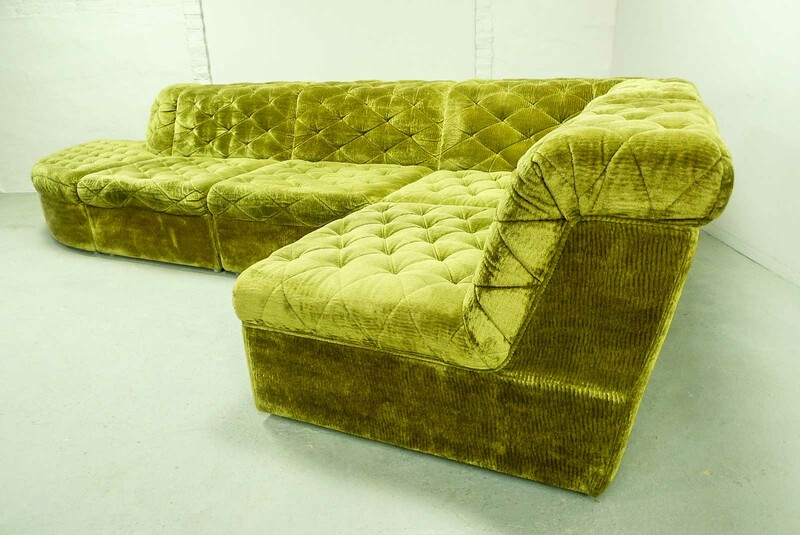 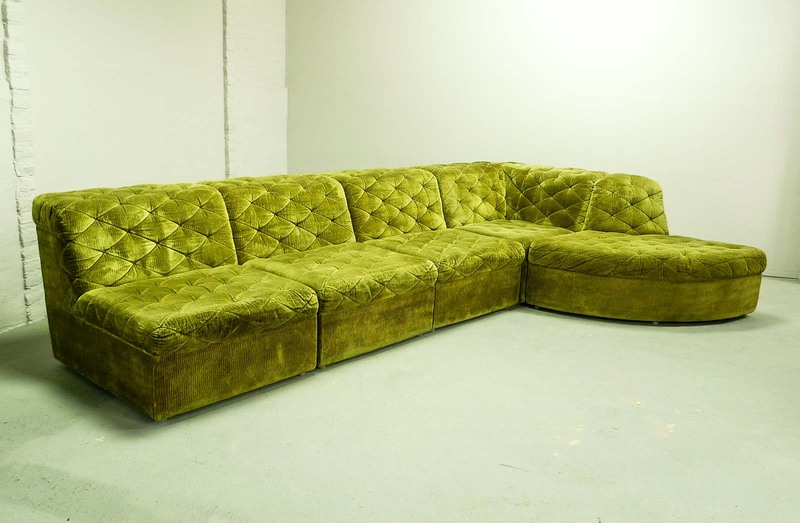 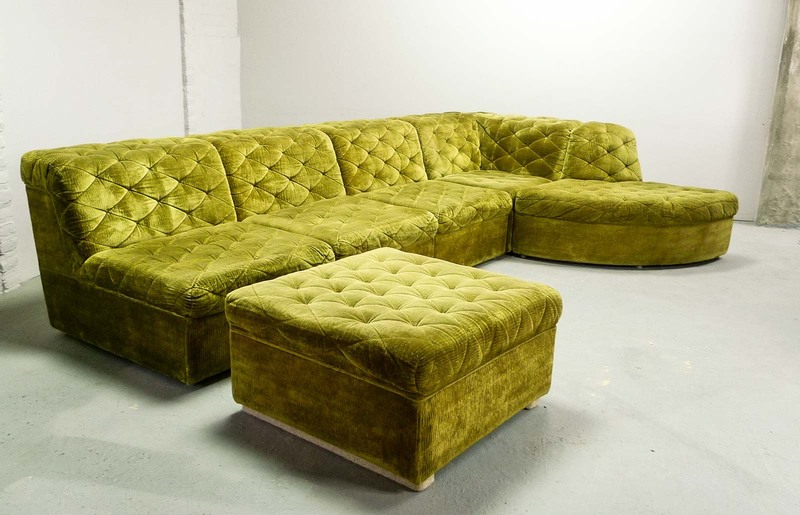 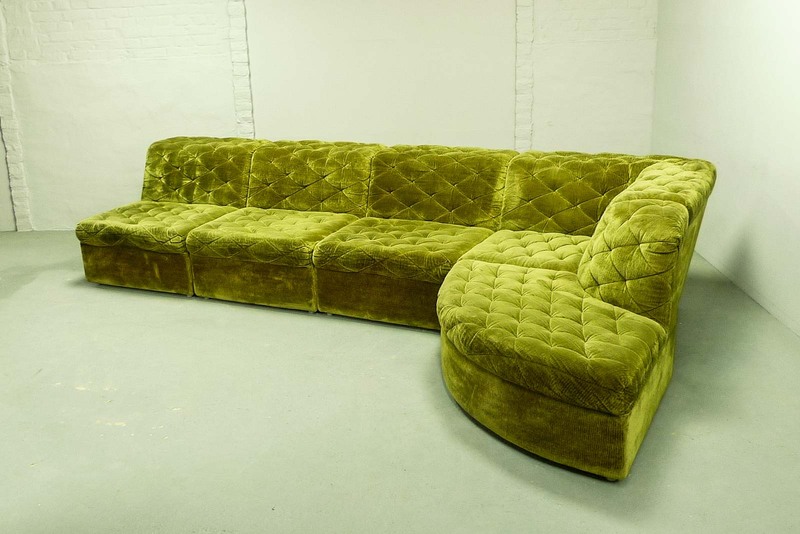 This sofaset contains five elements in a beautiful gold-green velvet upholstery. 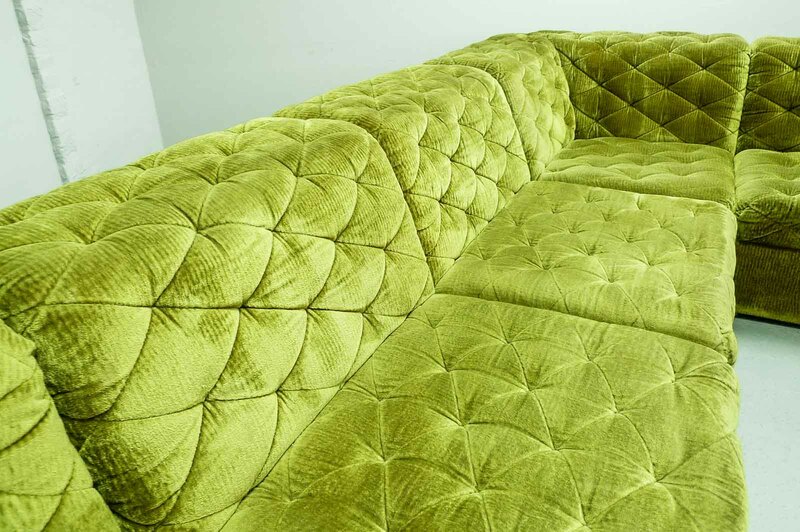 All elements are interchangeable, so there are numerous ways to put it. 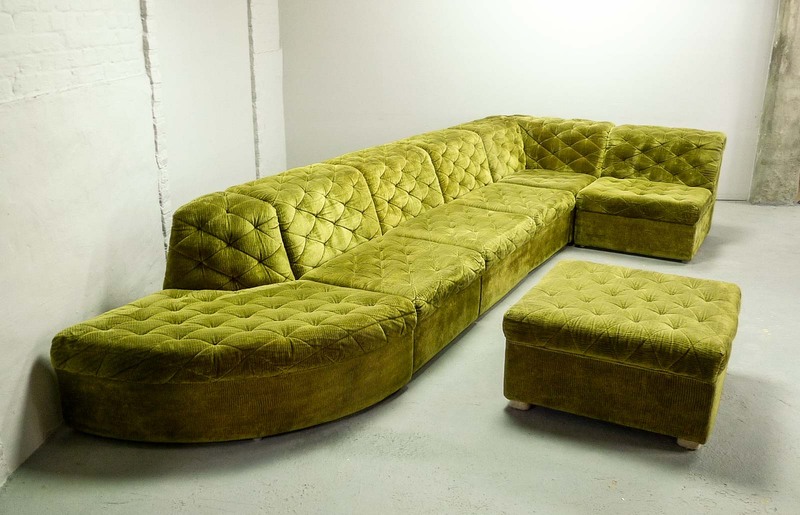 The set offers a great seating comfort and is produced by the German manufacturer Laauser, well-known for its high quality design furniture in the 1970s. 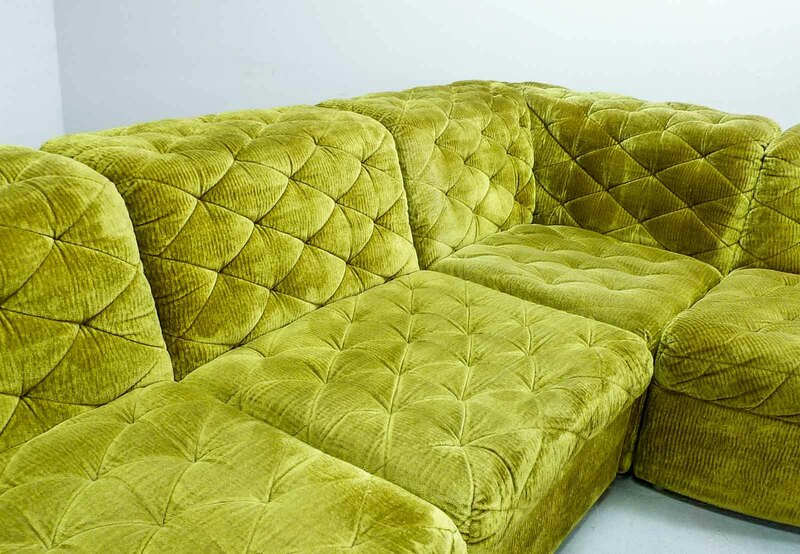 A splendid sofaset can be created with the five well preserved elements. 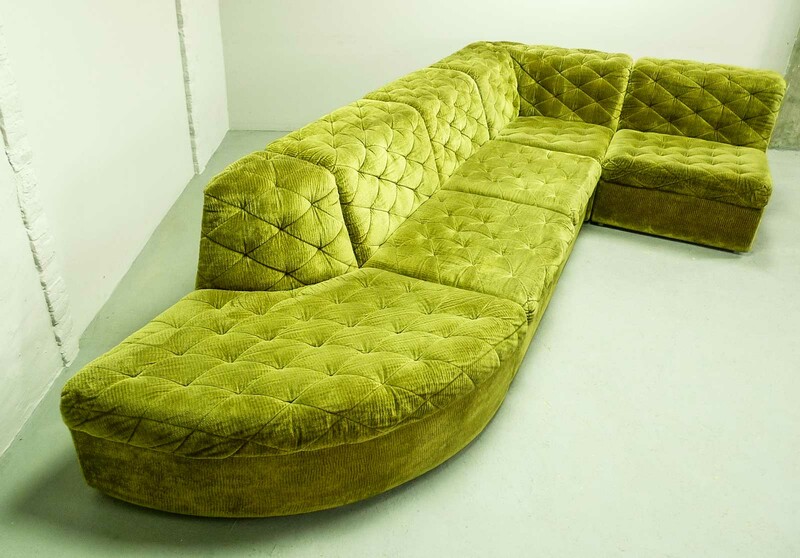 It contains a corner element, a quarter element, two straight elements and an ottoman. 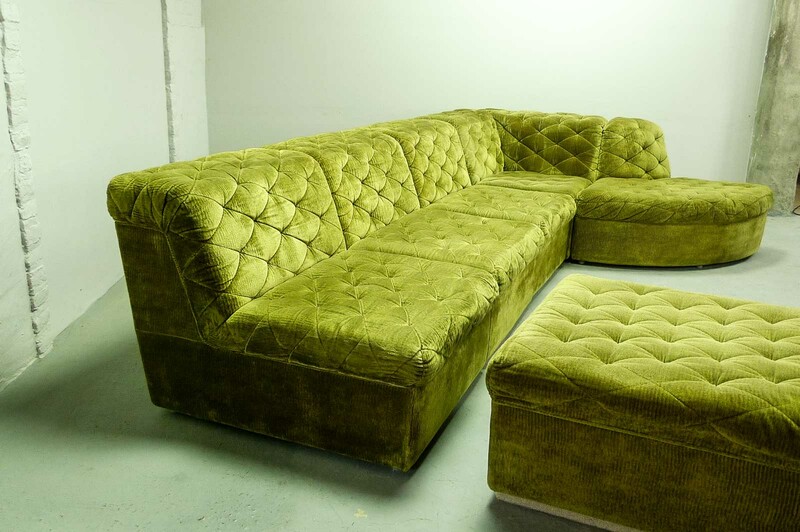 Corner element: H 64 cm, W 90 cm, D 90 cm / Straight element: H 64 cm, W 72 cm, D 90 cm / Quarter element: H 64 cm, W 90 cm, D 90 cm / Ottoman: H 35 cm, W 80 cm, D 80 cm.